This spacious home includes separate living and dining rooms, while maintaining an open floorplan. 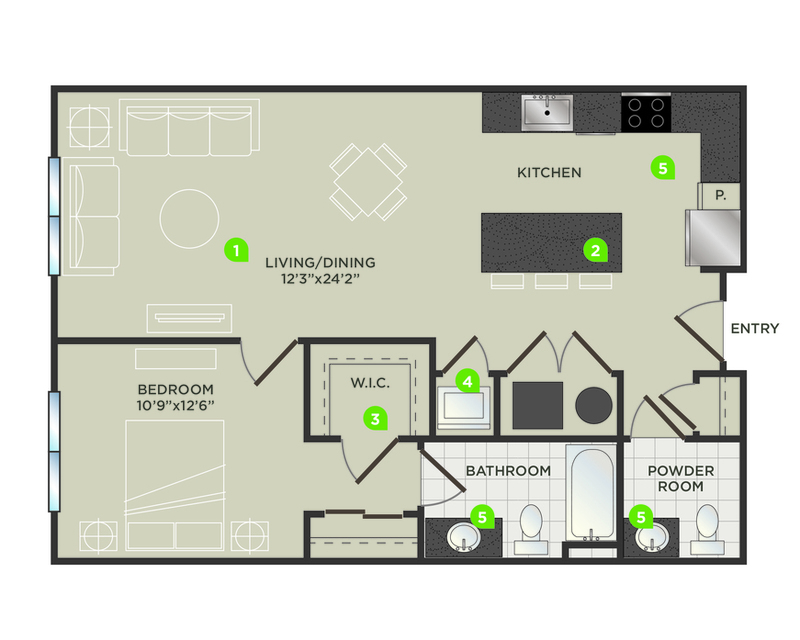 You'll find walk-in closet, balcony and a full sized stackable washer and dryer. 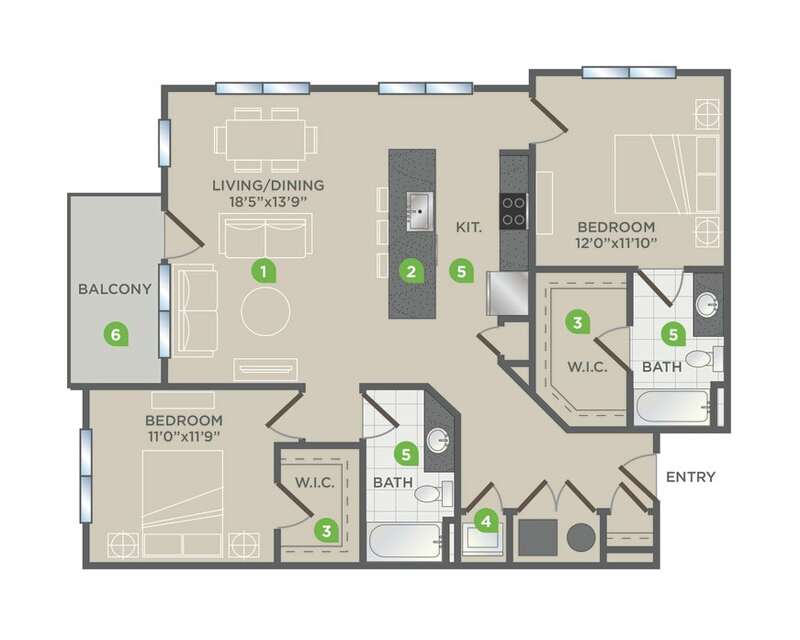 Large one bedroom with large living space, open kitchen, balcony and walk-in closet. This home comes standard with a full sized, stackable washer and dryer. This home features a separate living and dining space, with an open kitchen featuring a large island. A walk-in closet is found in the bedroom, as well as a balcony and full sized stackable washer and dryer. This home features an oversized living and dining area just off a spacious kitchen with island. You will also find a large walk-in closet and full sized stackable washer and dryer. This spacious home includes separate living and dining rooms, while maintaining an open floorplan. 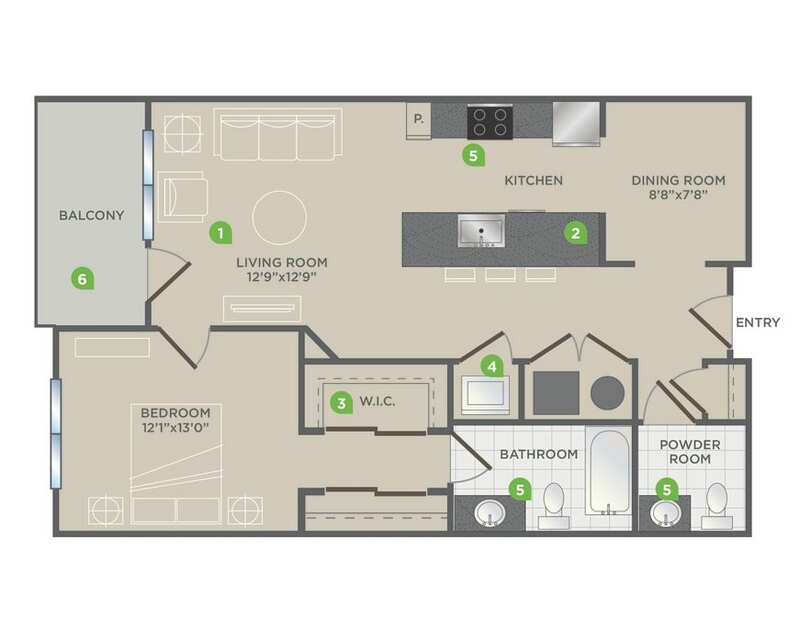 You'll find a second full bathroom, walk-in closet, balcony and a full sized stackable washer and dryer. This home features a den, in addition to a large living and dining space, perfect for guest room, home office, or lounge. 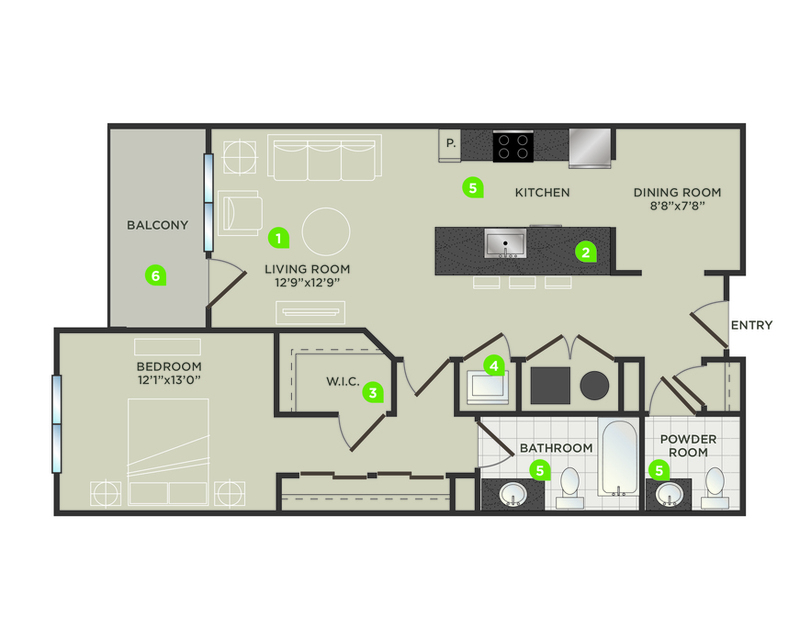 You will additionally find a walk-in closet, balcony and full sized stackable washer and dryer. This corner apartment features lots of natural light, plus a balcony and large kitchen with entertaining island. With two walk-in closets, balcony and full sized stackable washer and dryer, you will have plenty of space both inside and out. This home features a spacious living and dining room plus a bonus room. 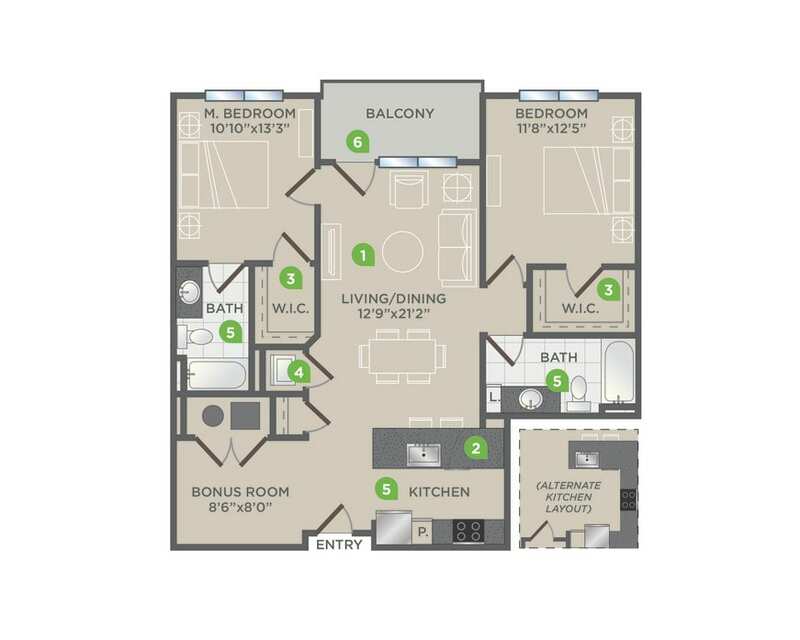 You will additionally find two walk-in closets, balcony and full sized stackable washer and dryer. This home feature a large living room plus a bonus room, with walk-in closets in the bedrooms, and balcony. You will also find a full sized stackable washer and dryer. 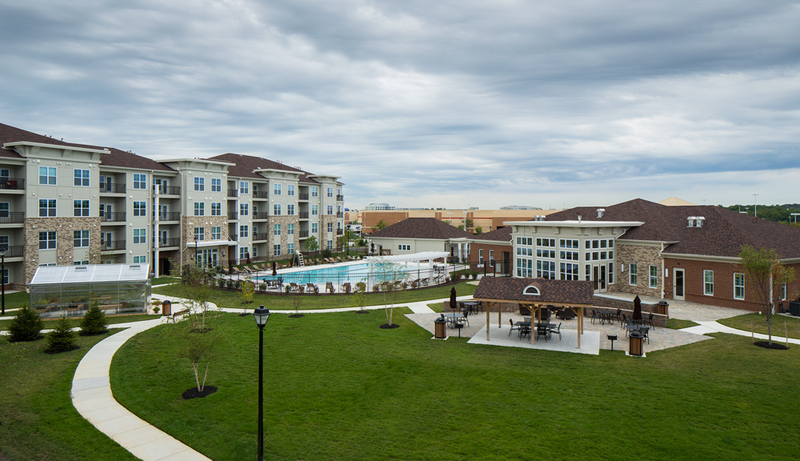 When you rent a one or two bedroom apartment at Paragon at Columbia Overlook, you get to experience an unparalleled level of pristine living Elkridge, MD. Expansive floor plans meet high-end kitchen features, presenting you with an overall look that is timeless and will serve as a canvas for personalization. Featuring nine-foot ceilings and engineered hardwood floors, each lofty apartment gets plenty of sunlight throughout the day thanks to its oversized windows. Head toward the private patio or balcony and you can see serene views of the community or even sweeping views of Elkridge. The kitchen has everything you need, including stainless steel appliances, forty-two-inch shaker cabinets and granite countertops with plenty of room for your kitchen tools and gadgets. Residents will adore the massive walk-in closets and the convenience of the in-home washers and dryers. 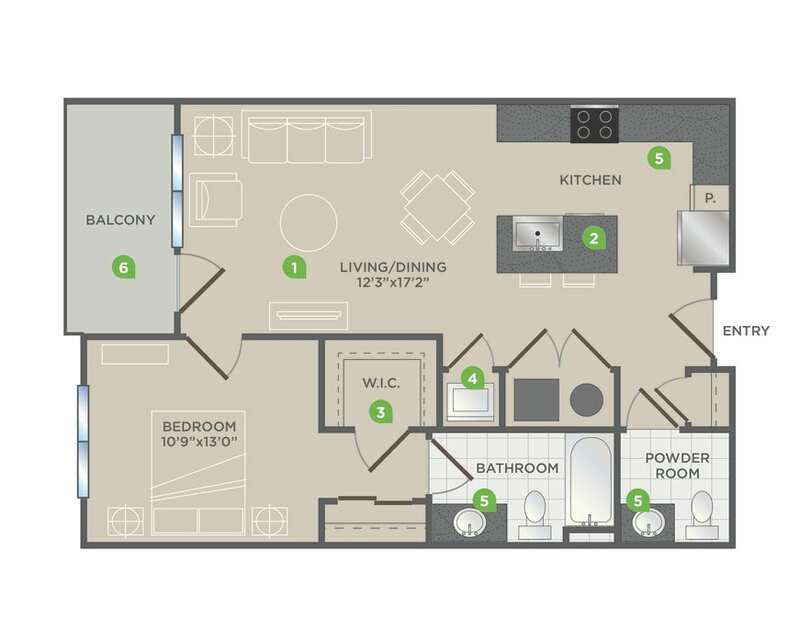 Every apartment at Paragon at Columbia Overlook also has a guest bathroom, whether a chic powder room or full second bathroom. 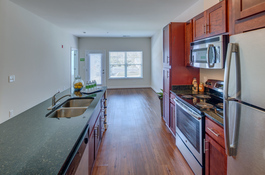 Discover the ideal apartment today when you visit Paragon at Columbia Overlook in Elkridge, MD. © Copyright 2019 Paragon At Columbia Overlook. All Rights Reserved.